A score of 85 is quite a bit better than the majority of amateur golf scores. Whether you are a beginning golfer or have played for many years, your goal is to lower your average score. A golfer’s quest for lower scores can involve buying the highest quality golf clubs available, diligently practicing or taking regular lessons from a pro. Because golfers see PGA Tour pros on TV consistently shooting in the 60s and even rarely in the 50s, they sometimes wonder if they will ever be able to play "good" golf, even after shooting a round of 85. According to data from the National Golf Foundation, only 26 percent of all golfers shoot below 90 consistently on regulation 18-hole courses; 45 percent of all golfers average more than 100 strokes per round. A player who shoots 85 is doing better than nearly three out of four of his golfing peers--a good score. In his book, “How to Learn Golf,” Harry Hurt III describes golfers who shoot between 80 and 89 as being of “middling proficiency”--those who play an average of about once a week. He states that golfers of that level who want to lower their scores into the 70s should increase their frequency of playing and practicing, perhaps to as much as four times per week. If your business or family responsibilities prevent you from playing that often, a score of 85 is certainly acceptable, even good. Golf courses vary widely in their difficulty, from benign layouts with wide fairways and relatively flat greens to those with numerous water hazards, tight driving areas and small greens that are heavily defended by sand traps. A score of 85 on a difficult course such as Pebble Beach Golf Links, site of the 2010 U.S. Open, would be an excellent score for an amateur golfer who shoots in the 80s on his less-difficult home course. Even the scores of PGA Tour pros are affected by the weather. Windy conditions in particular make it much more difficult to judge yardage. Many times in tournaments when the winds are calm in the morning and then build up in the afternoon, those players lucky enough to have early tee times shoot scores that average several strokes lower than those who must deal with tricky afternoon winds. For amateurs, scoring 85 in high winds is definitely a good score. When youngsters take up the game, one of the milestones they aim for is to break 90 for the first time. For young people aged 12 to 16, shooting in the mid 80s consistently shows they are well on their way to becoming accomplished golfers as adults. For adults who have been playing for two or fewer years, shooting an 85 would be considered a fine score. Golf is not an easy game to learn, and most individuals require a number of years of instruction and practice before they can shoot 85 consistently. 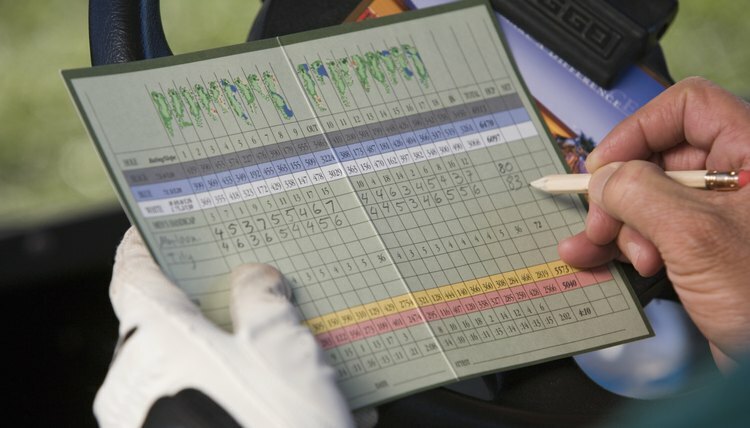 What Golf Score Should You Expect to Achieve?